if you have sleeplessness without pain. you have trouble urinating due to an enlarged prostate gland. If pregnant or breast-feeding, ask a health professional before use. It is especially important not to use naproxen sodium during the last 3 months of pregnancy unless definitely directed to do so by a doctor because it may cause problems in the unborn child or complications during delivery. Keep out of reach of children. In case of overdose, get medical help or contact a Poison Control Center right away. 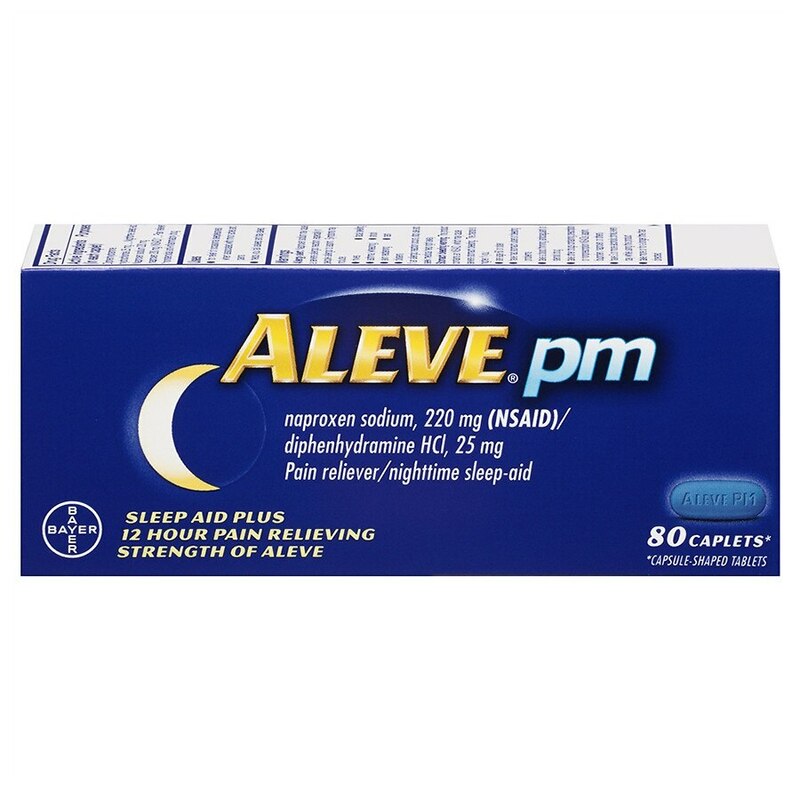 ALEVE PM for relief of occasional sleeplessness when associated with minor aches and pains. Helps you fall asleep and stay asleep.